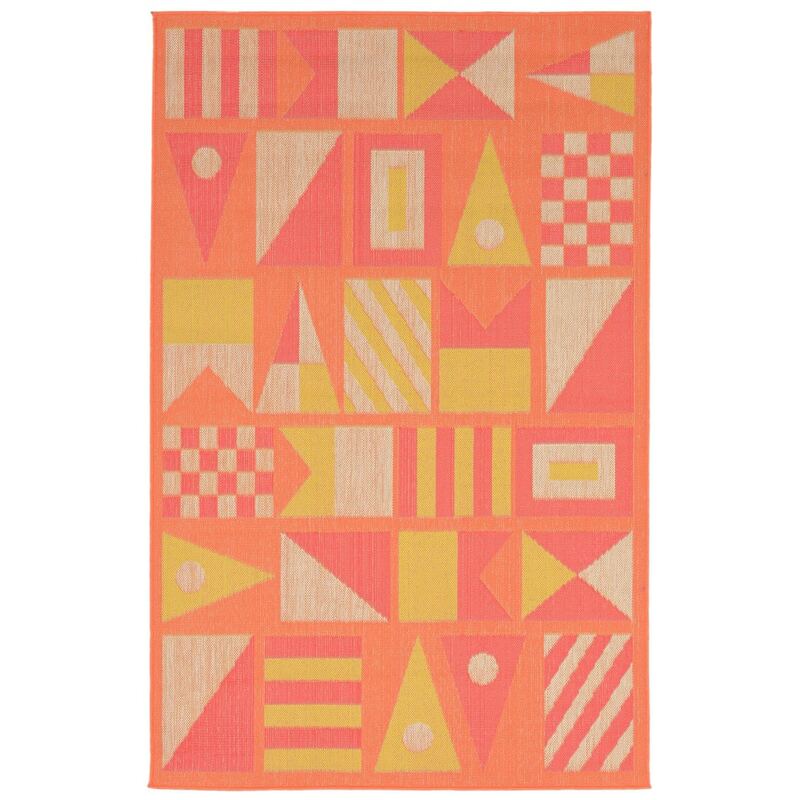 A tightly woven constuction, using brighly colored Polypropylene yarns, creating the intricate and playful rugs that look great both indoors and outdoors. Wilton Woven in Turkey of 100% polypropylene and UV stabilized for Indoor and Outdoor use. A tight weave of Polypropylene using 4 fashion colors in each rug creates visual interest as well as being easy to care for. Vacuum regularly. Sponge spots to clean. To clean full rug, gently rinse with a solution of mild detergent and water. Hose rug clean, lift off ground allow to dry throughly. Reducing exposure to rain and moisture will prolong rug life. Use of a rug pad is recommended.